In time the whole fashion scene is solely dominated by the western culture, a number of young Egyptian talents tend to revolutionize current fashion trends to create a new fashion trend primarily influenced by local identity. 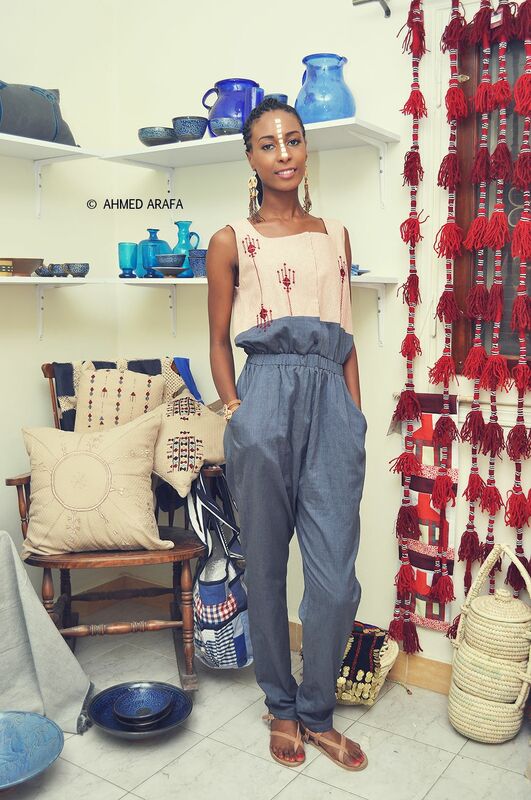 Allaga is one of those revolutionaries, especially after holding a fascinating fashion event, under the name of “Culture Turn into Fashion” on Saturday, June 6th, 2015 in Maadi, Cairo. 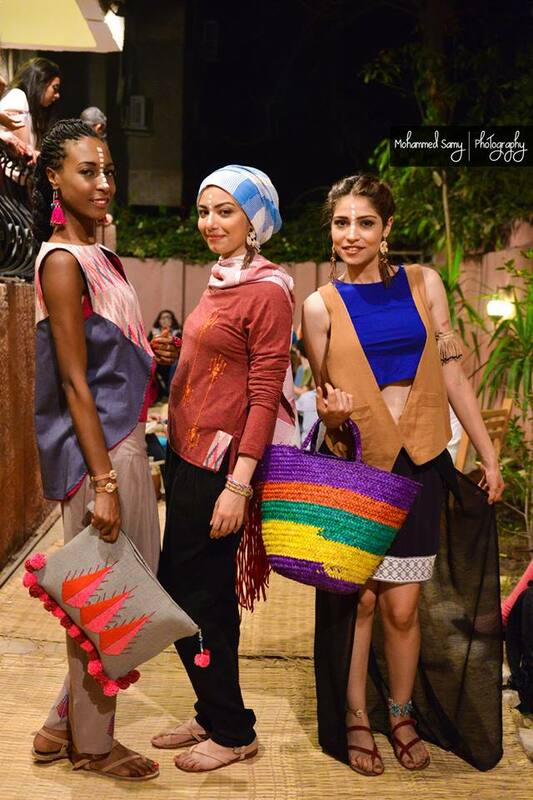 In collaboration with Fair Trade Egypt organization, Allaga launched its 2015 spring collection, mainly marked of its bright colors, tribal ornaments, and oriental & African spirits. 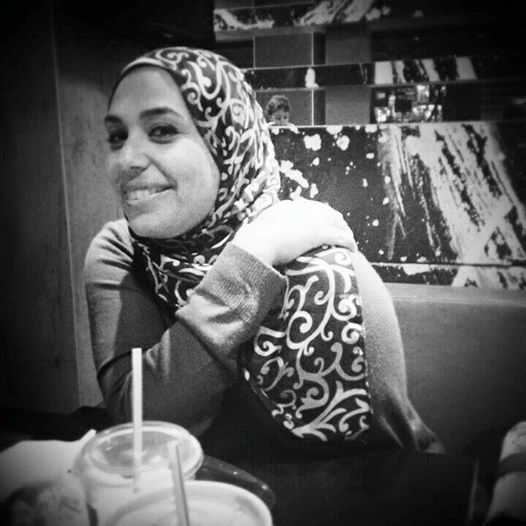 “Allaga is a 15-member group of young designers, aiming to promote artisan products and sharing the same fashion ideas and themes”, said Asmaa Fattouh, Assistant Chief Designer, and added “we deal with craftsmen and artisans from Siwa and Upper Egypt.” The same issue was also highlighted by one of the guests, Esmeralda Radwan, who happened to be a designer, when she called for supporting such initiatives, stressing that time has come to restore our long-forgotten identity and culture because of colonists and political ideologies. 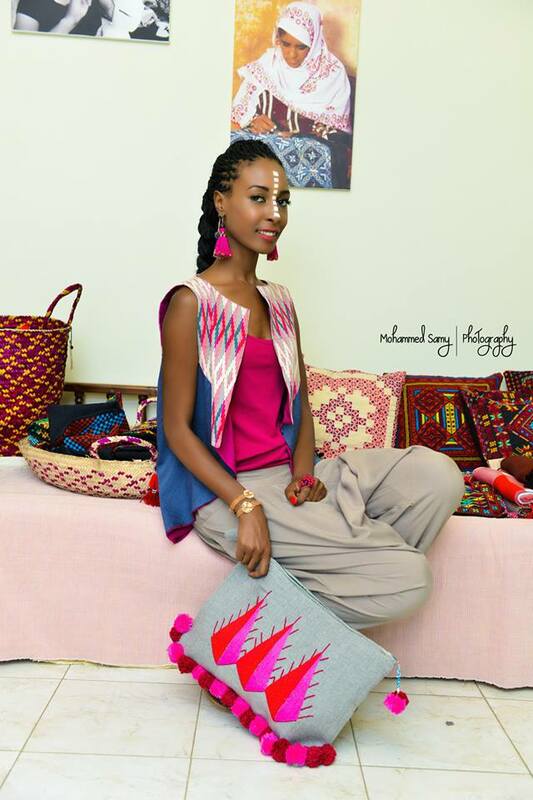 Dalia Nageb, one of Allaga’s designers, also pointed out that Allaga aims to create modern practical outfits inspired by Egypt’s folklore, combining its oriental and African identities. In an attempt to make their outfits closer to modern day’s taste, Dalia explained that they were keen to introduce a Hijab outfit. 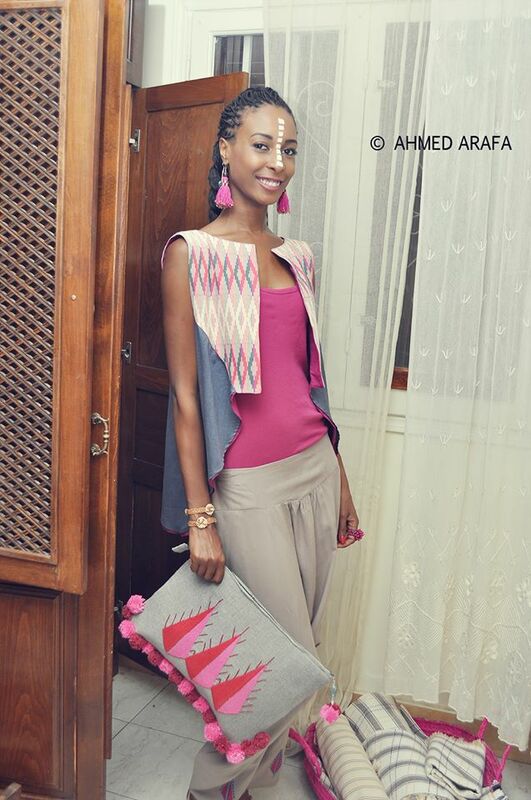 Sharing the same vision and objectives, Fair Trade Egypt kindly opened its doors to Allaga’s new collection. As part of the responsibility it takes as a NGO, Fair Trade Egypt showcases, in its avenue, a unique set of fabrics, scarves, bags, accessories, and other souvenirs. These one-of-a kind products are originally made by craftsmen and artisans based in Sinai, Marsa Alam, Upper Egypt, and other places. FTE, then, supports local tribal communities suffering from low living conditions and helps to spread out Egyptian culture and its tribal spirit to the whole world. The ambience wouldn’t have been so perfect, if it weren’t for the generous participation of two Egyptian bands; namely, El Mazzikateya and Baheya. 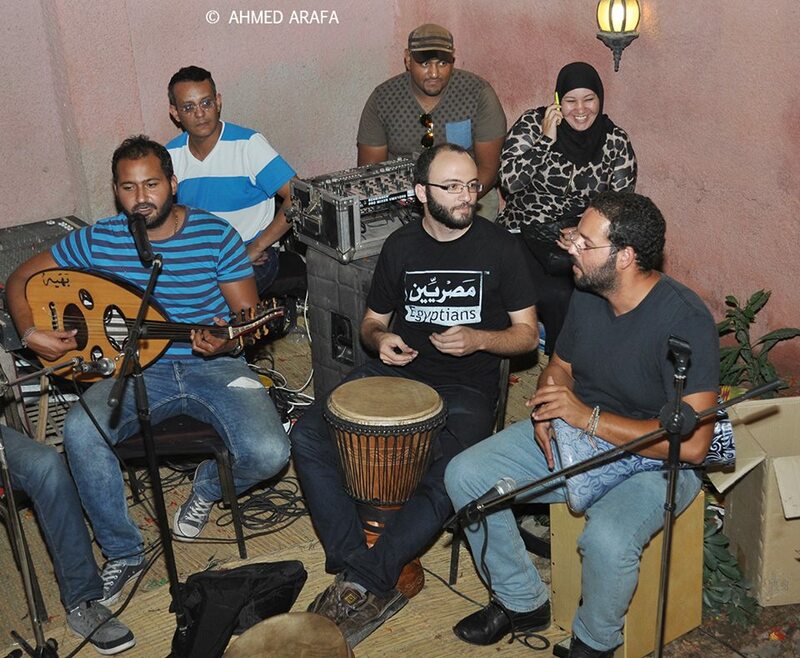 Together, the two bands played a set of Egypt’s most adorable folklore songs; including, “El-helwa de” (This Beautiful Lady) and “Tele’et ya Mahla Nourha” (The Beautiful Sun Rises). Not to mention that, the bands’ members used the oriental instruments: Oud, flute, drum, and percussion to play their breathtaking pieces of music. 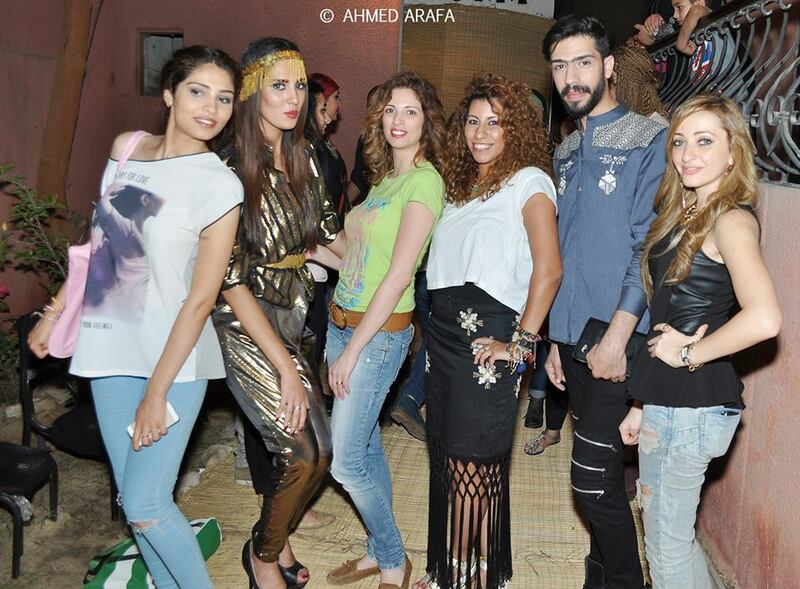 Speaking of the beautiful models, they didn’t only shine due to their fascinating outfits, but also the authentic touches of Sayed Abdel-Hamed (AKA, Sayed Sika), the Makeup Artist, as well as Joe Hair Stylist, who generously sponsored “Culture Turn into Fashion” since the very beginning. Sally’s Cakes and Bakes was another sponsor of “Culture Turn to Fashion”, and shared with Freesia her inspiring story as well as her delicious cupcakes and cookies. As Sally had to leave her job to take care of her little infants, she discovered her passion for cooking and decided to start her own business with her home-made cakes and bakes. 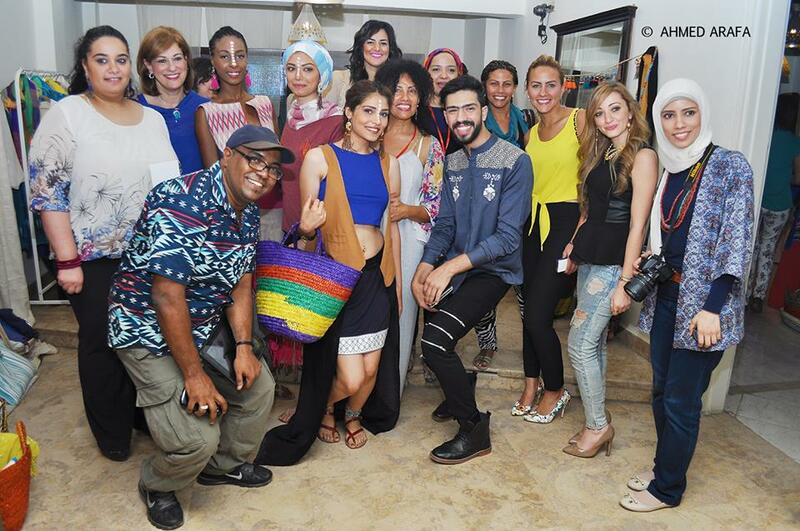 Being the media sponsor, Freesia was pleased to take part in this event celebrating Egypt’s fashionable’s identity in Fair Trade Egypt’s avenue.